What happened to Carroll Becker at Christ the King School in Snyder more than 60 years ago scarred her for life. The Grand Island woman said she was picked on in first grade, but not just by her classmates. She said she was also targeted by Sister Pauline Terese, OSF, a Franciscan nun. “She’d get up in my face and make me stand up yell at me about being stupid and retarded and slow and I was so terrified, I didn’t know what was going on, I wet my pants,” Becker said Thursday at a news conference in front of her former school. The first two times it happened, the nun sent Becker home to change her clothes. But the third time, Becker said, the nun took her next door to her room at the convent at Christ the King. “She made me take off my underpants and…she raped me with a crucifix, saying this will cure me from defiling God’s property,” Becker said. The abuse she endured as a five-year-old at the hands of a Catholic nun caused Becker to lost all sensation in her private parts for life. She still suffers with post-traumatic stress disorder, too. Becker suffered mostly in silence until this year, when she met with Sister Margaret Mary Kimmins, OSF, congregational minister of the Franciscan Sisters of Allegany. Becker came away from the meeting feeling intimidated and said in a follow-up conversation, Kimmins hung up on her as soon as she answered the phone. “She never apologized,” Becker said. The church offered her short-term counseling and the opportunity to pray with nuns at Christ the King -- the same place where she was abused. Both the Franciscans and the Diocese of Buffalo denied her compensation, she said. But Becker is not the only female victim of clergy sexual abuse. Burns-Quinn estimates that as many as 25 percent of clergy sexual abuse victims are women. “That’s why we need some females to come out and tell their story, to give strength to female victims who’ve been repressing this,” she said. One of those women contacted 7 Eyewitness News, saying that she was abused in 1970 by Msgr. Joseph J. Vogel, who founded Queen of Heaven Church in West Seneca. She asked 7 Eyewitness News to withhold her identity because she has not yet told her entire family about the abuse. The woman said she was 12 when Vogel summoned her to the rectory and sexually abused her. “It took me years of alcoholism and recovery and relationships and I never had a child because I was so afraid that something was going to happen,” the victim said. 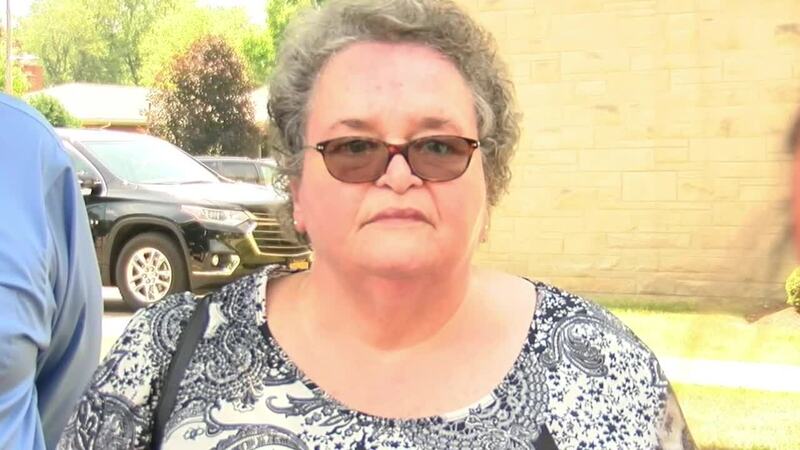 The woman reported the abuse to the school principal -- a nun -- and her parents reported the abuse to the assistant pastor, but nothing was done, she said. Vogel died in 1988 and a diocesan spokesman said he would look into the matter, but he had no immediate comment.